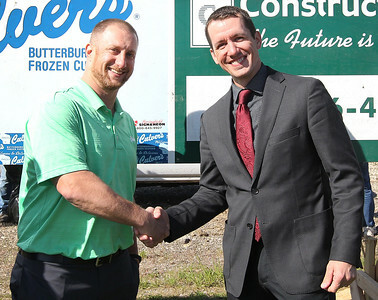 Candace H. Johnson-For Shaw Media Culver's Zach Steffens, of Volo, owner, and Donovan Day, community development director for the Village of Fox Lake, shake hands during the ground breaking ceremony for Culver’s in Fox Lake. 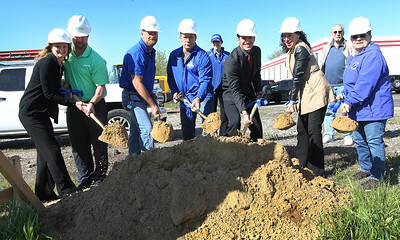 Candace H. Johnson-For Shaw Media Culver's Zach Steffens, owner, (second from left), his wife, Jill, of Volo, and officials from the Village of Fox Lake, stand together during the ground breaking ceremony for Culver’s in Fox Lake. 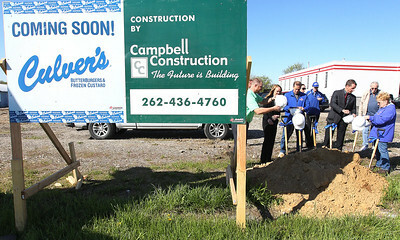 Candace H. Johnson-For Shaw Media Culver's Zach Steffens, of Volo, owner, his wife, Jill, and officials from the Village of Fox Lake get ready for the ground breaking ceremony at the construction site of Culver’s in Fox Lake. 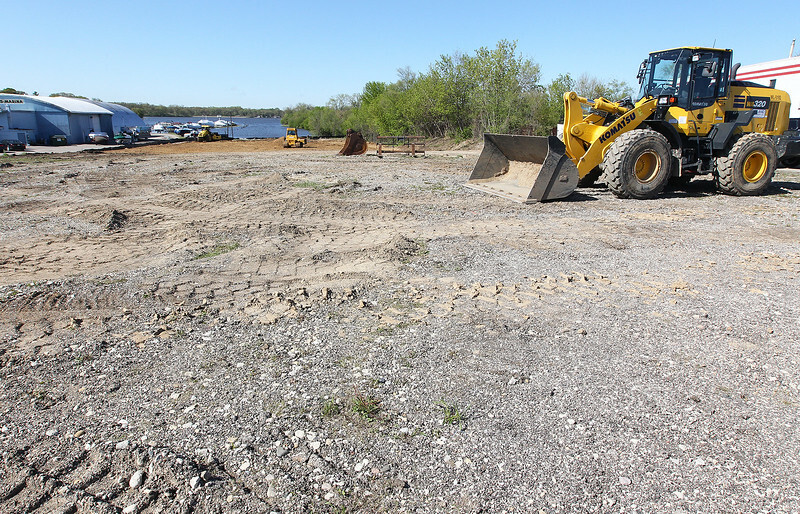 Candace H. Johnson-For Shaw Media Workers from Platinum Terrain work on the fill site for the new Culver's restaurant located at 100 South Route 12 between the Ben Watts Marina and Kodiak Automotive in Fox Lake. Candace H. Johnson-For Shaw Media The construction site of the new Culver's located at 100 South Route 12 between the Ben Watts Marina and Kodiak Automotive in Fox Lake. The restaurant will be built by early Fall of 2017. The construction site of the new Culver's located at 100 South Route 12 between the Ben Watts Marina and Kodiak Automotive in Fox Lake. The restaurant will be built by early Fall of 2017.